Who has been watching the new Bake Off Crème de la Crème series on BBC2? I have been agog since the first episode and rushed out the buy the Crème de la Crème book* – that’s my copy above. And just for fun I thought I’d give away another copy to one of my readers. This isn’t a brand or publisher sponsored giveaway, I will be sending the winner a copy direct from Amazon*. The series has divided opinion. Some viewers have been REALLY upset that there’s no Paul and Mary and that it’s not in a tent. “It’s not the Bake Off!” they cry, “The judges are SO rude!” (and yes one made a participant cry but she did give her a hug immediately afterwards). We had a quite a chat about it on the Maison Cupcake Facebook page and I’ve embedded the post above if you’d like to read. If you don’t have a clue what you’re missing, here’s the BBC trailer. There are still several weeks of the show to run so you can pick it up half way through. I really hope there will be a second series! 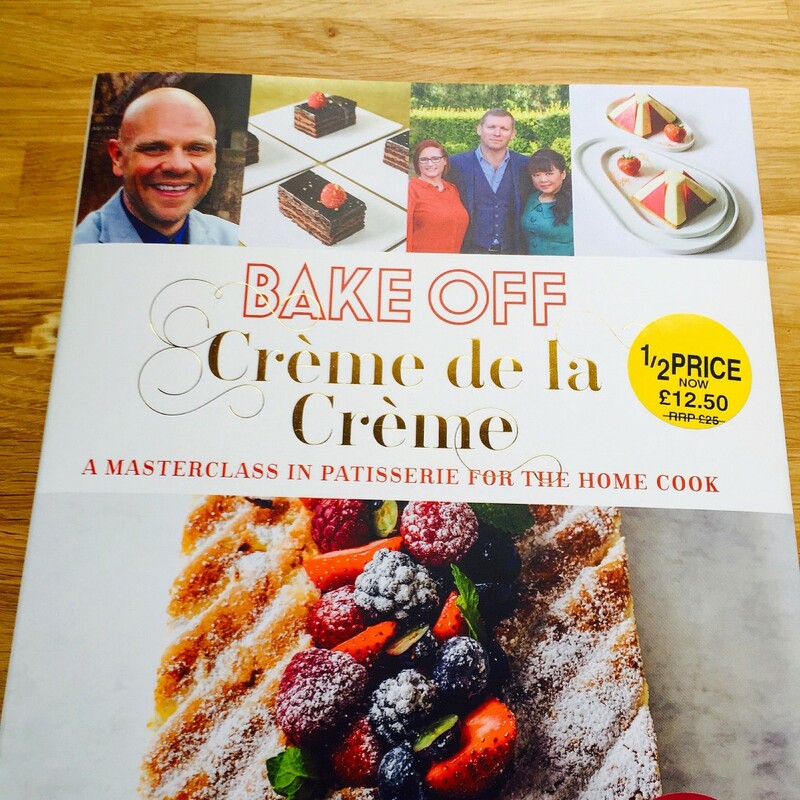 And if you’d like to win a copy of the Bake Off Crème de la Crème book* accompanying the series, fill in the Rafflecopter form below, leaving your blog comment below answering the question shown on the embedded form. There aren’t a ton of social media hoops to jump through, I’ve kept it nice and simple. If you know someone who loves baking enter to win the prize for them or forward this post onto them. If you LOVE French patisserie take my virtual tour of the best Paris patisseries to follow on Instagram! *Amazon affiliate links – if you make a purchase on Amazon via these links a sliver of commission comes back to this site helping to fund giveaways like this. This will not affect the price you are charged. I think the contestants are inspiring and although I am only an novice baker in comparison, I still appreciate their work and talent and I think they are all worthy winners and deserve nothing but credit and praise. I think the negative attention that the show has received is a shame – it’s not the GBBO, it’s Creme de le creme… it’s not trying to be the same programme so why are some people comparing like, for like? I hope I am lucky enough to win a beautiful copy of this book. Thank you!! Paris-breast! It looks so fabulously indulgent! 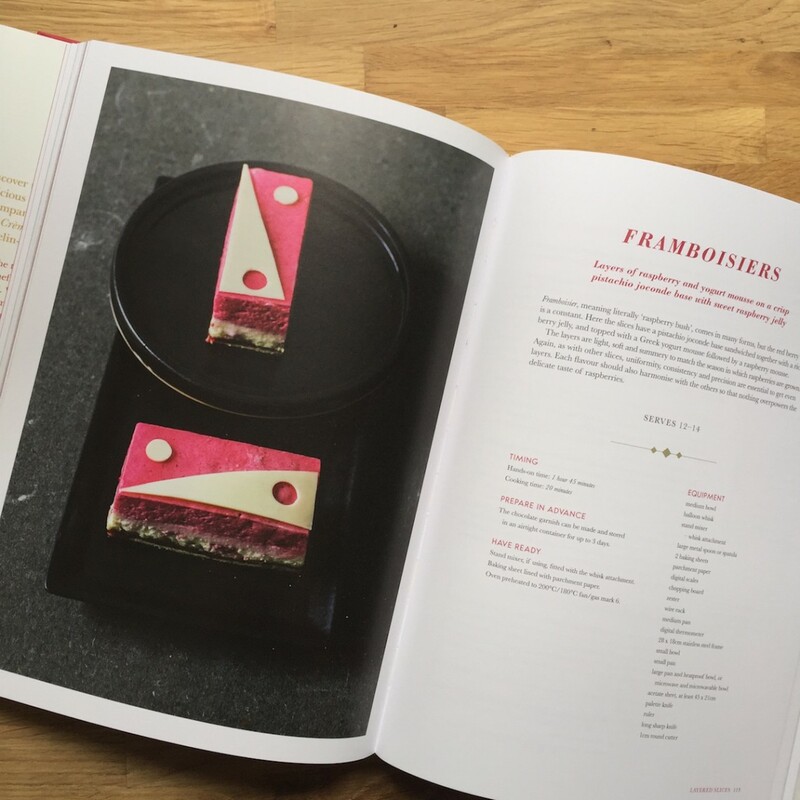 The cherry on the top of baking – loving the show – inspiring! Bake Off Creme de la Creme is right up my street Sarah! This is a fantastic giveaway and it looks like there are some great recipes in the book. I love the show and I love how critical they are – these are professionals, they should know better. I would make the coconut dacquoise. Mary’s Paris Brest – I love choux pastry! Tempered chocolate so I could make all those fancy bits and bobs. i would have to go for the Gateux too 🙂 nom! The Lemon Meringue Pie looks scrumptious. It is on my “to do” list. I wasn’t aware of the series but I’m setting my DVR. I like the looks of the Framboisiers above. 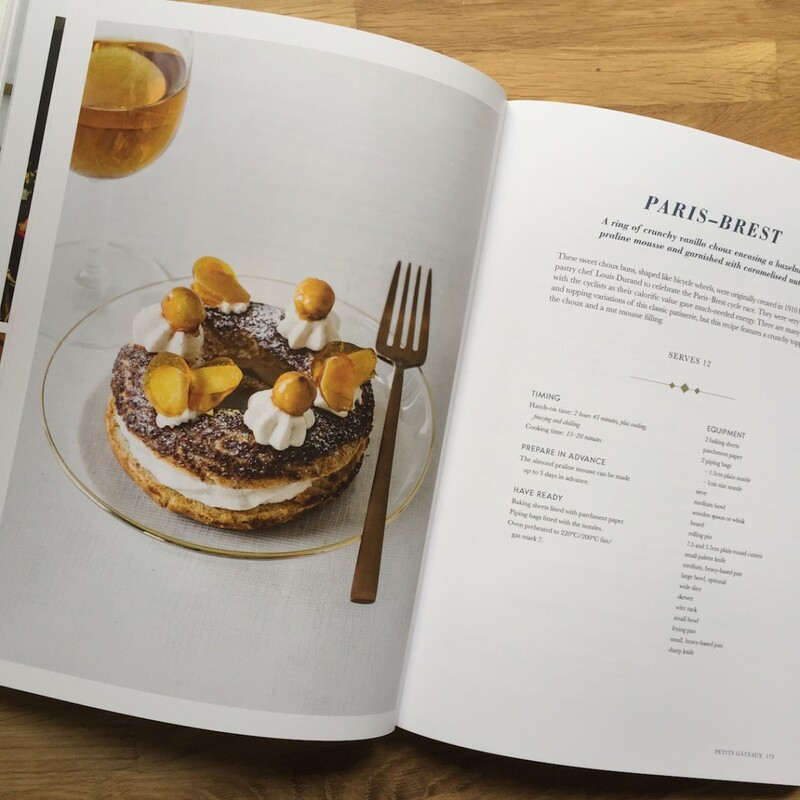 I’d love to have a go at the Paris Brest too! the lemon meringue pie, hubby’s favourite! Sadly I haven’t seen any of this yet so I can’t say which I would like to try the best. I’d like to make Lemon Meringue Pie. I have mixed opinions about the series. I really appreciate the skills of the contestants and enjoy watching them create their bakes. I do feel the judges can be over critical. In the real world there would not be time constraints and all of the bakes would be perfect, the mistakes happen when rushing to finish. I would love to try and create some layered slices. The sponge and mousse layers look fabulous when decorated and presented. If I could master one of these my family and friends would be very impressed! I’d like to try any of it! Eclairs, would be a yummy start. 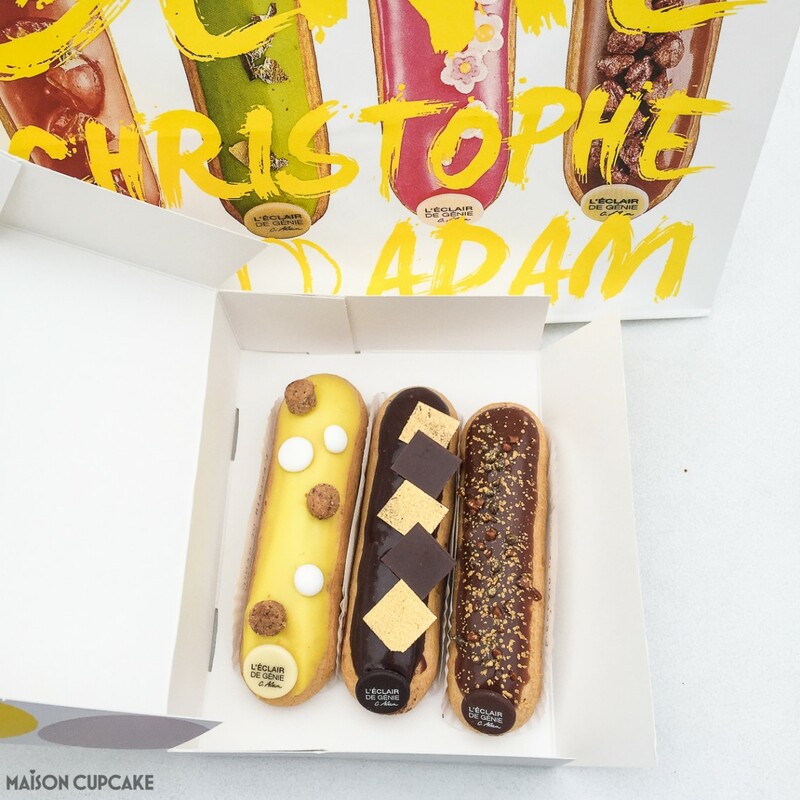 Love the series, the eclairs would be lovely. I would love to try and make the petit gateau, not sure how well I would do though!! Paris Brest…as I think I might be able to make a half decent go of it! Imagine being able to learn their secrets, though? I’d like to try making the Petit Antoine, it looked so delicious with the chocolate. I would try Paris Breast! Paris Brest is my challenge to try this year at some point! I would love to be able to master The miniature Opera Slices. I am in awe of the sugar pulling skills. Amazing. My Tuesday night must watch. Lemon meringue pie one of my favourite desserts! But id honestly like to give them all a try! The Gateau looks amazing! Would love to have a go at doing that! The lemon meringue pie. But i dont think mine would look as good! I think probably the Gateau because I love them but all of it looks lovely! Definitely have to be the Coconut Dacquoise! I’d love to have a go at the Paris breast 🙂 I’m really enjoying the series so far! I think the show is great! 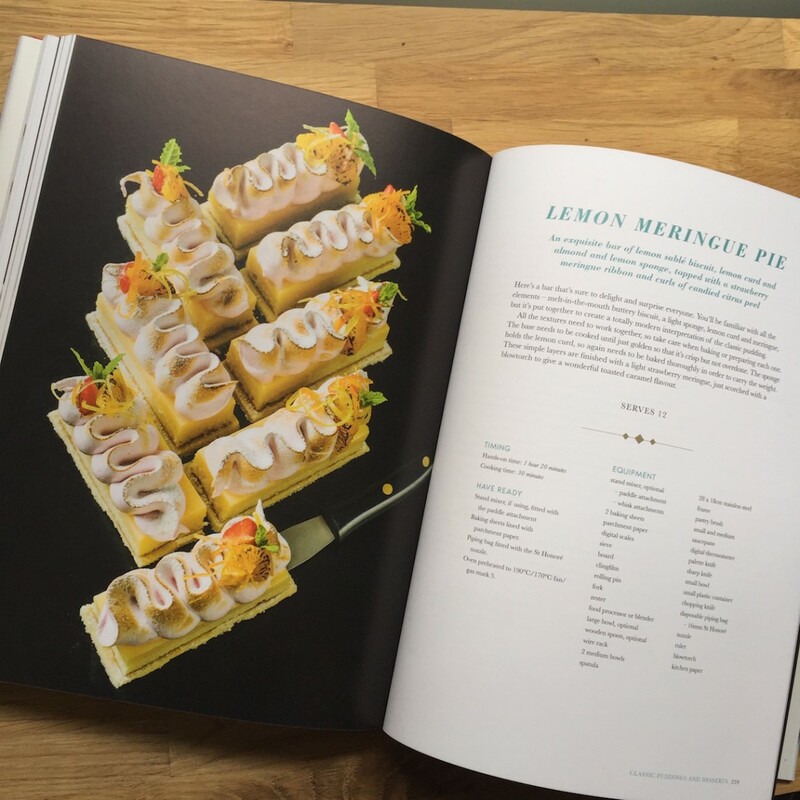 Its so inspiring and it has really opened my eyes to the fact that there is more out there in the pastry world than just croissants – although they are super delicious. I am also in awe of all the intricate show pieces they make, those chocolate cabinets on tuesday were really something! I haven’t caught all of this but after an episode did Google to try and find the recipe for, without luck (and I’m sorry I can’t remember the name) amazing little dome cakes with layers of mouselline and citrus jam/jelly. I would love to try the lemon meringue pie. The lemon meringue pie looks lovely. I’m loving this series & Tom Kerridge is looking awesome isn’t he? I am going to see if I can get caught up. I didn’t know it was on!! I love the GBBO &such. Thanks so much. I never win anything but I will give it a try. I don’t usually enter any longer on these giveaways. I would love to have such a wonderful book for sure. It’s got to be the lemon meringue pie. One of my favourite desserts. The chocolate designs they make for the show stoppers with spun sugar creations are amazing would love to be able to make something like that – or eat something like that. oooh there’s so many but the lemon meringue pie looks great! Want to try the Coconut Dacquoise! I love Lemon Meringue Pie, so a different version would be great. I don’t know where on earth one would put one of those showstoppers!! Love the show . 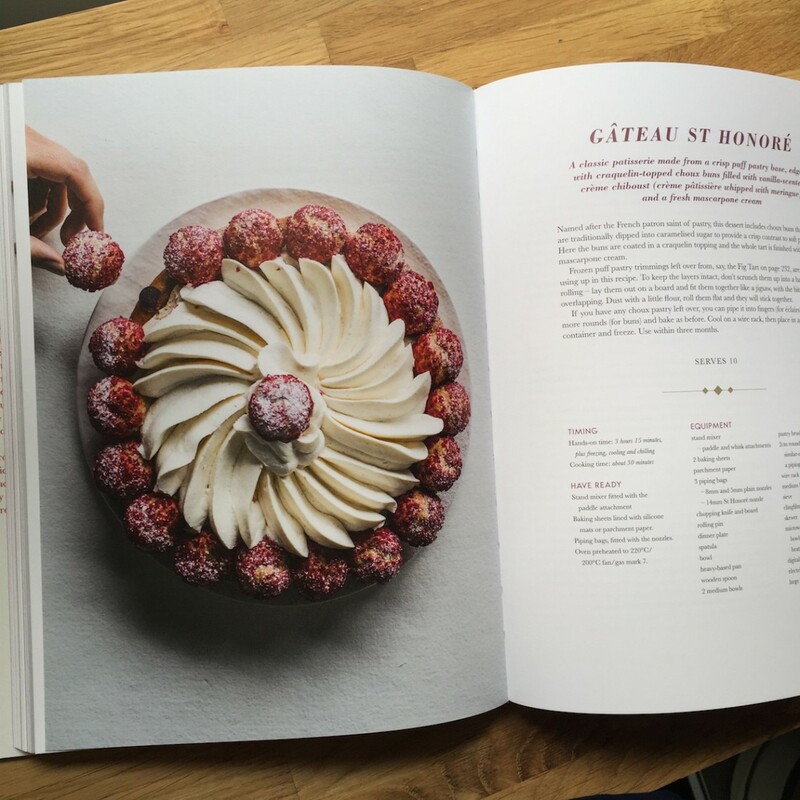 I would love to make the spherical petit gateaux …though I must admit I would like to attempt an apple bake , just to see if I cold succeed where all of the contestants so far have failed ….not that I’m competitive you understand . tempered chocolate would be fab! Paris Brest first because I have just mastered choux. I’d like to be able to make the Lemon Meringue Pie. Very hard to choose which pastry I’d like to make. I loved the look of the Mouse Bank but that is far beyond my skills as a baker, or my artistic skills when it comes to modelling marzipan. I think I’d have to stick to something that looks a bit easier, maybe those chequered biscuits, can’t remember what they are called.